From its inception in 2001, ITCN Asia, now being organized for the 16th consecutive year, has grown up as the biggest IT & Telecom extravaganza of Pakistan. Most powerful brands of the world will showcase their state-of-the-art products and services which will allow the user community to get exposure to a wide range of technology and solutions under one roof. Most importantly, it would provide an opportunity for business-to-business alliances, leveraging their mutual strengths. 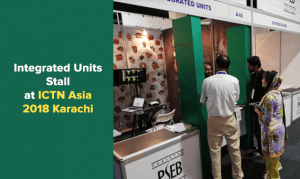 ITCN Asia Exhibitions & Conferences have been playing a pivotal role in land marking the image of Pakistan on the world IT Map, bringing in huge foreign and local investments in the Country. ITCN Asia Provided FoodBucket a huge opportunity. FoodBucket – A Restaurant Management System, Fast and efficient order Management system for your business. FoodBucket participated for the first time in ITCN Asia Exhibition in Karachi and it went extremely well. This exhibition proves out to be great for FoodBucket. The platform enabled us to reach and aware people a lot. These types of steps providing great opportunity to business owner to exhibit their product and reach to important people as well as to general audience. People from the Business sector, specially from Food Industry appreciated Our Product a lot because we at FoodBucket believes that people want to be cared for in a restaurant. They come back to places where they have received the best service. With that in mind, we have developed a solution which lets restaurant owners and managers give their guests a new level of customer service.